Lots of exciting news last week! 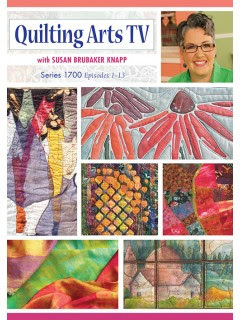 The Quilting Arts TV DVD, Series 1700, arrived as well as the Feb/March 2016 issue of Quilting Arts Magazine. I have two episodes on the DVD which were filmed back in September. . .
. . . and an article in the magazine! Both of these dreams can now be checked off my bucket list. I love teaching and am very excited to share my knowledge about cutting stencils and sun printing. 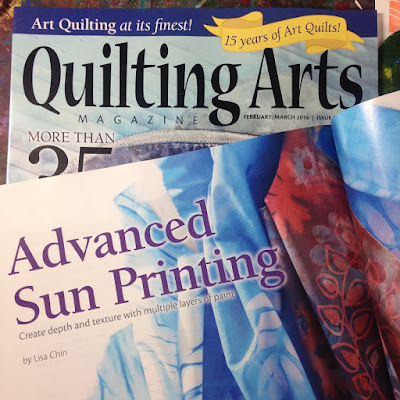 Both items can be purchased at the Interweave Store.